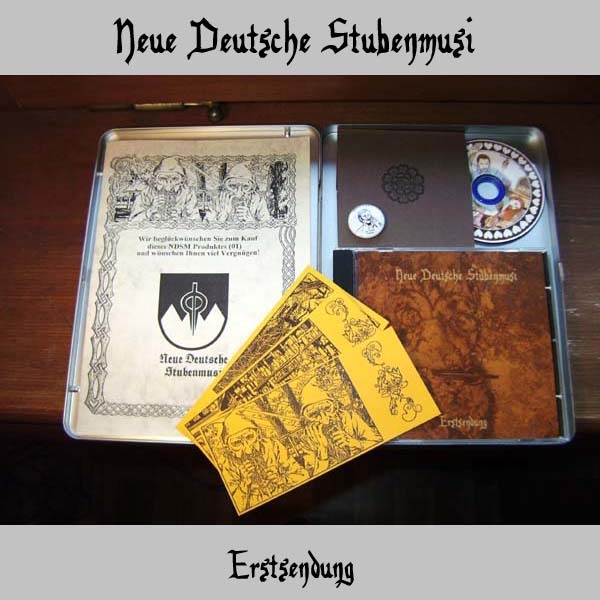 Debut of this highly weird franconian folk-ambient-experimentalproject. Using electronic soundscapes as well as instruments like flutes and the jaw's harp NDSM create creepy and nightmarish atmospheres. Ideal for hanging around in shabby bars or drunk walks in the woods.This limited special edition comes in a metalbox (63 copies) with several special items, such as an exclusive mini CD-R (20min, one song), papercards with motivs drawn by the Stubenmusikant A.G., and a NDSM button. Not to be classified and strange!